hi there! i have a simple card to share today. 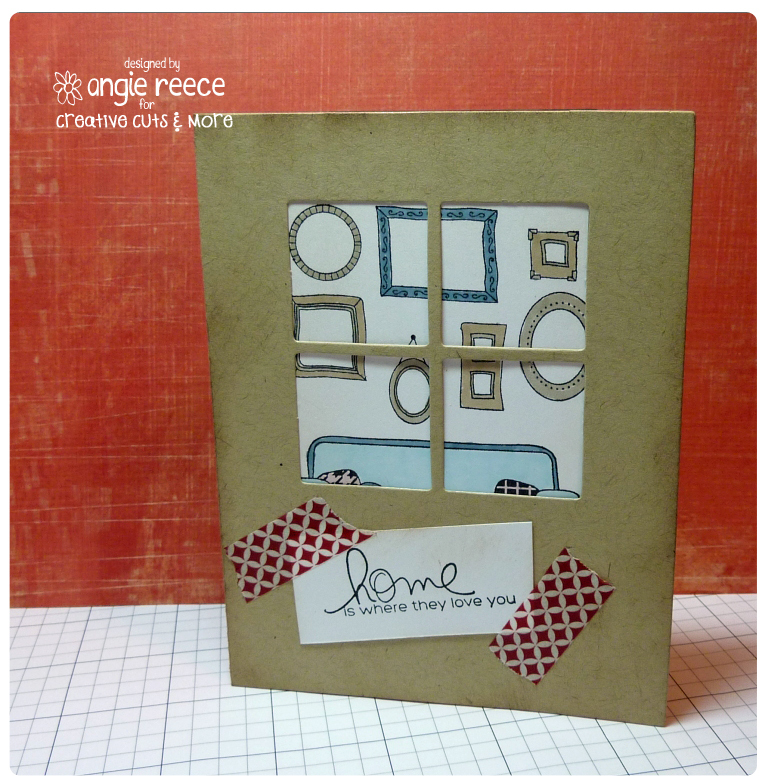 it started out as a christmas card in my mind, but ended up being a "happy new home" kind of card! i started with four pane a2 window card, then stamped a little living room scene in the background. added the sentiment and some washi tape and it was complete! all stamps are by unity.